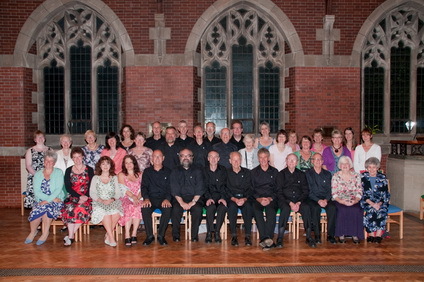 Several of the performing groups listed here perform in the Bollington Arts Centre. The rooms at the Arts Centre are available for your own events, and are ideal for rehearsals, band practice, workshops, seminars, meetings, lectures and exhibitions. Monday evenings 7.00 pm youth and 8.00pm senior. Thursday evenings 8.00pm senior. The Band gives concerts, Civic parades, Drum Head services etc. The aim is to further Brass Band music in the area and to give help to junior players. Indeed, they have an excellent ‘B’ band with about 30 improving players. In 2011 the main band were promoted to the Championship Section! They are now regarded as one of the finest bands in Britain and the World! New players, with or without experience, are always welcome. Instruments available for novice players. The ‘B’ Band provides an outstanding opportunity for new players to become proficient leading to promotion to the main band. The long established BLOG has a reputation for producing wonderful colourful musical theatre with no opportunity for comedy overlooked. See their web page. A unique performance group for 7-14s. Meets Sunday afternoons 2:30pm September – May in the Arts Centre. New members always welcome. Rehearsals on Tuesdays at 8.00pm at the Arts Centre. New members – please contact Donald Judge. We meet every Wednesday at 7.00pm-11.00pm in the Arts Centre. 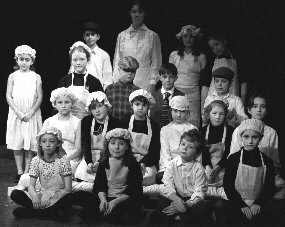 We produce three shows each year, including the Annual Pantomime in conjunction with the Junior Festival Players. See the Arts Centre programme . We meet every Wednesday evening from 7.00pm to 8.30pm at the Arts Centre. New members always welcome. A series of chamber concerts are presented between September and April each year at the Arts Centre (programme ). Shakespeare courses for children run at the Arts Centre during the Easter and Summer Holidays. A group established in April 2012 very quickly learned how to play the Samba drums and other south American instruments. Meet 7pm to 9pm at the Community Centre, Ovenhouse Lane, except the 3rd Thursday each month when we are at Macclesfield Artspace, 2nd floor, Sutton Mill, Heapy Street, Macclesfield SK11 7JB. New players always welcome, with or without experience! Every Friday evening, 8:30pm, Dog & Partridge Inn, Palmerston Street. Guest nights normally monthly, other Fridays are Singers Nights – all welcome to sing / play / listen. Further details – see our website or ring Pete.